Tax Resolution Firms – how to differentiate between the helpful from the harmful. There are plenty of tax resolution firms out there and unfortunately there are also several ways to be exploited and hoodwinked by said firms. Just ask the countless taxpayers it happens to everyday. 1.) If it seems too good to be true, then it probably is. There is nowhere that old adage rings more true than when it comes to tax resolution firms. Be wary of any firms that promise the moon. Don’t forget that at the end of the day, the IRS is still going to want to get paid some portion of what they are owed. Oftentimes these firms offer to settle your tax debt for pennies on the dollar and once they have you, they will siphon money from you little by little until you have paid way more than you were ever prepared to pay or agreed to pay; and this is before they have even settled your tax debt. 2.) Never trust a firm that says they can settle your tax debt for x amount before they have even thoroughly examined your case. 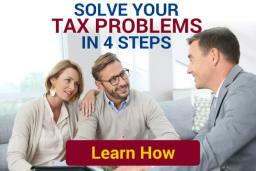 It is impossible for any tax resolution firm to even know if they can help or not without first taking a look at your case and all the variables involved. If they guarantee that they can help, again you should be wary. Sometimes the best solution is to just pay your tax debt depending on certain factors. If your “tax specialist” is making certain guarantees without first asking a series of questions and running crucial numbers, you should look elsewhere as they are just looking to make a quick buck off you and it is likely they cannot and will not help you with your tax issue. 3.) Find out where there offices are located and who will be your person of contact. Oftentimes, these large tax resolution firms seem “local” and the person you meet with is hardly ever the person or persons handling your case. This is stuff you need to know prior to entering any sort of binding contract with said firm. Know who you are getting into bed with, so to speak. Find out where they are located, who is handling your case, what their qualifications are, etc. No amount of questions is too many questions when dealing with YOUR financial future – ESPECIALLY when it comes to tax debt relief. 4.) More to the prior point, find out who will be representing you and speaking to the state/IRS regarding your tax matter, as well as their certification. Whenever hiring a professional to perform any sort of service for you it is vital that you meet with the individual(s) who will be doing the actual work required. In tax resolution matters, that individual is the person who will be negotiating/dealing with the state or IRS regarding your tax matter. We would be remiss if we did not also mention that the ONLY people qualified to represent you in these matters are: Enrolled Agents (EAs), Certified Public Accountants (CPAs), and Attorneys. If upon your initial consultation/meeting you are not permitted to speak to said professional, alarm bells should go off on your head that this is NOT a firm that cares about proper client care and it is imperative that you do not sign a retainer, collect your belongings and make a beeline for the exit. Call us today for guidance with your tax debt/resolution questions!! We hope we have provided you with enough information to arm you should you ever need someone to handle your tax resolution matter. If you have any other questions or concerns regarding the matter, don’t forget, Ayar Law Group specialists are only a phone call away. Our consultations are always free and confidential.